Given the choppiness and seemingly random selection of authors and chronology the last 10 years of James Bond continuation novels have experienced, it may be difficult to remember a simpler time. John Gardner penned 14 original 007 adventures from 1981 to 1996. Without even skipping a year, Glidrose (now Ian Fleming Publications) onboarded his successor and had his first Bond novels in stores. 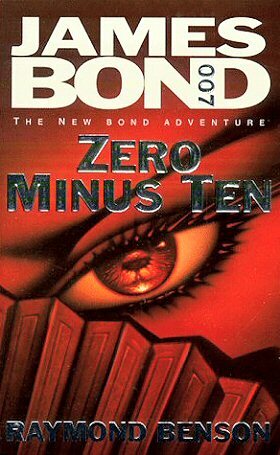 Raymond Benson took over the reigns and his debut 007 adventure, Zero Minus Ten, was published on this day 20 years ago in 1997. Benson had previously penned the James Bond Bedside Companion and his status as a Bond scholar put him in good stead. Zero Minus Ten is set, as the title would suggest, 10 days before the handover of Hong Kong from British to Chinese rule. The same backdrop was used in Donald Westlake's unused original screenplay for what would become 'Tomorrow Never Dies', although the central plot of a third party setting Britain and China on the path to war made it through to the film released later that same year. In Benson's novel, that rogue element is Guy Thackeray. In the Australian desert, a nuclear bomb explodes. In England, two police officers are shot dead when they investigate a cargo in Portsmouth dock. And in Hong Kong, an explosion rips through one of the colony's famous floating restaurants, killing the entire Board of EurAsia Enterprises Ltd, a multi-billion dollar shipping corporation. These apparently random events are connected - and 007 must find out how and why. 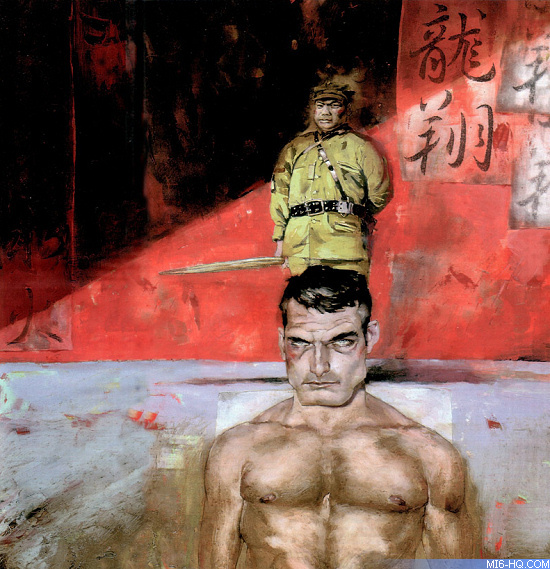 Traveling to one of the world's most exotic locations, Bond encounters such diverse characters as a mysterious British taipan, a sinister Triad leader, a sadistic Chinese general and an enchanting exotic dancer - and eventually comes face to face with one of the most formidable adversaries of his career. The novel's strengths are the plot and locations. Benson takes Bond to both familiar locales: Jamaica and Hong Kong, as well as to new pastures. 007's trek across the Australian outback is a particular highlight. The travelogue element of the book is excellent and would appeal to those who enjoy how Fleming breathes life into locations with rich detail, history and local characters. 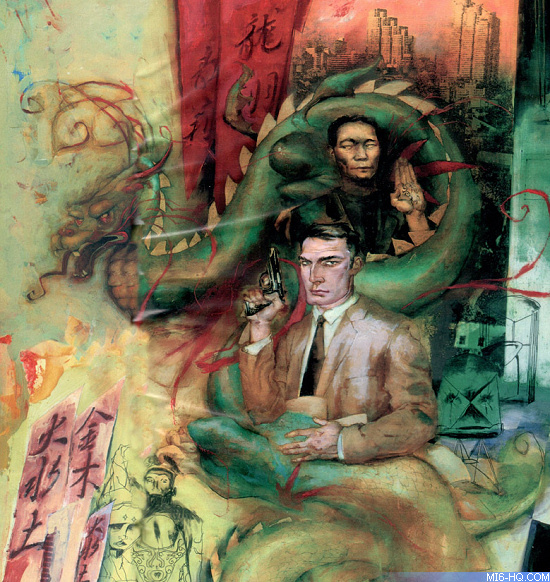 Benson also takes some of Fleming's classic recipe and blends it into a modern adventure, such as the two-chapter long game of Mahjong between Bond and Thackeray. Pierce Brosnan had been in the public eye as James Bond for two years when this book came out, and the movie series definitely played into the book. The opening chapters of the novel have nothing to do with the rest of the adventure and is a riff on the pre-titles sequence of a Bond film. The overlaps with the film canon continue with a Q and Moneypenny scene, M is now the same character as played by Judi Dench, and the frequency of action sequences mirror that of the modern films. 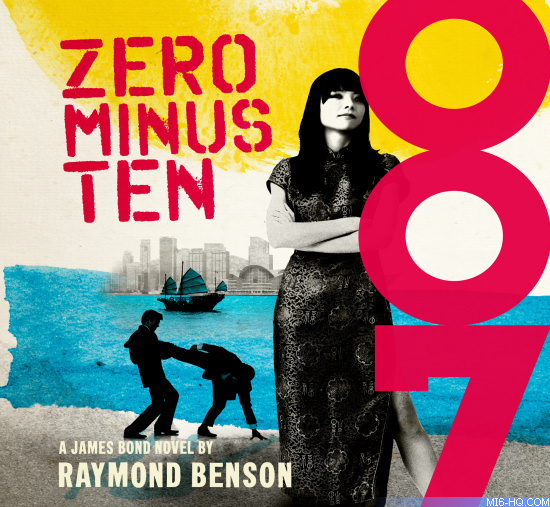 Benson's conscious decision to lean towards film canon over the literary canon made his life easier when also producing the novelisation of 'Tomorrow Never Dies', 'The World Is Not Enough' and 'Die Another Day' in between his original novels, allowing both fabrics of Bond's history to weave together. The dichotomy that Gardner had grown between his literary universe and the films of the time tied him in knots when it came to the 'Licence To Kill' and 'GoldenEye' novelisations. 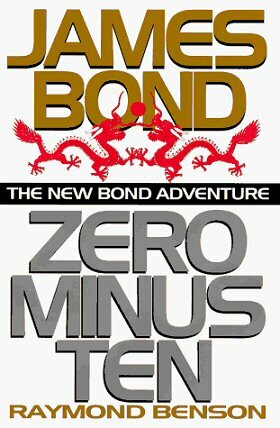 Zero Minus Ten is more for the Brosnan-era film lover who wants to read an original adventure than it is an Ian Fleming literary purist who wants to see his timeless character in yet more action and intrigue. But that is not necessarily a negative point. The book sets up the story and then, by chapter eight, does not relent with the plot and pace. It becomes a real page-turner and a strong start to Benson's tenure.